You are not logged in. [Log In] Forums Wings: Over Flanders Fields WHO ARE THESE GUYS? #4457335 - 01/15/19 12:33 AM WHO ARE THESE GUYS? I've looked at this crew for several years when they appear on the Main screen but have never seen any of them elsewhere. Anyone know who they are? Quite an eclectic group. The guy on the left looks like someone I wouldn't want to mess with in the air OR on the ground and the Jastafuhrer with the stocking cap looks like an absolute wild man. Matter of fact, most of em look like they could eat me alive. Last edited by jerbear; 01/15/19 12:36 AM. Jasta 4. L-R: Richard Kraut, Robert Hildebrandt, Flieger Fohde, Joachim von Winterfeld, Egon Koepsch, Heinrich Maushake (on the wing), Heinz Graf von Gluszewski, and Julius Bender. 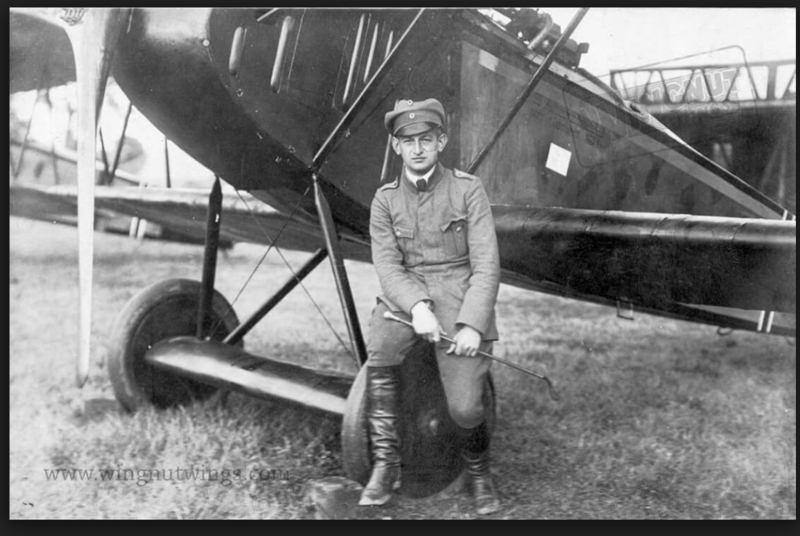 EDIT: Forgot to mention the source for this is Fokker Aces of World War I, Part 1, Franks and VanWyngarden. I knew you would be in to answer this one Jim, I just KNEW it. You are a veritable wellspring of such knowledge Sir, unlike me, who is a dubitable septic tank of useless information. Beat me to it JFM. For once a question I could have answered but too slow. As an aside i absolutely love these types of photos. So much history displayed both with the people and equipment. Don't give me any credit, Lou! I just opened the book and copied the names. I can only visually recognize two of them. Aaah yes, but Jim, you actually remembered where to look for that photo. My memory is very good, but very short. Duke, don't you hate it when you know the answer but you can't raise your hand quick enough. Or worse, the teacher just won't call on you. And I agree about these old photos, there is so much to learn studying them. Forgot to mention, that scar on Egon Koepsch's cheek, does anyone know how he received it? I ask because during this time in Prussia and Bavaria and Austria, (and other kingdoms in the region), dueling scars were quite in style, so much so in fact that a lot of them were actually self-inflicted. I kid you not, young gents would take a razor and slash their own cheeks just to have that fashionable "badge of courage". Lou, not that I can answer your question but when I noticed it was wondering if it was a scar or an imprint from the goggles. Koepsch was wounded on February 28 1918 but I have no details at first glance. I’ll keep poking. I’ve seen pics of dueling scars and that one would be the biggest I have ever seen - if it’s a scar and it does look like one. Thanks JFM: Soon as my present character dies, (won't be long, I'm sure), I'm gonna fly with these guys and apparently Ernst Udet. Oh...and apparently it is a scar. Last edited by jerbear; 01/15/19 10:50 PM.